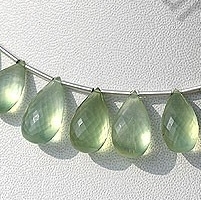 Prehnite for the first time came into existence in 1774 when it was discovered by one of the Dutch Colonel H. Von Prehn at Cape of Good Hope province in Africa. 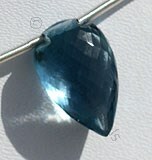 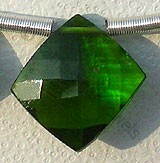 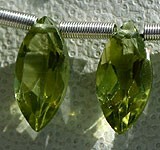 In the early days it was called as Cape Emerald by the trade due to its green color. 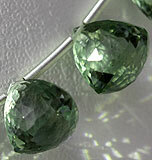 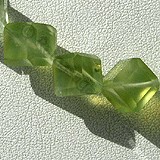 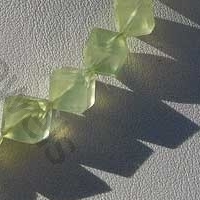 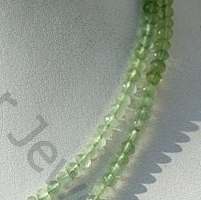 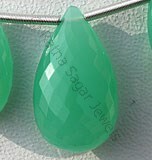 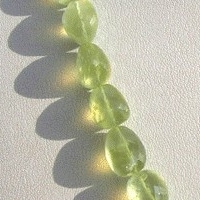 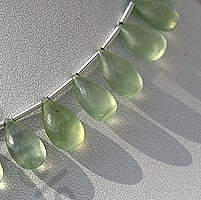 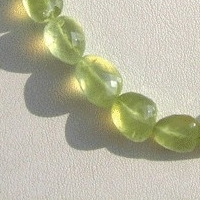 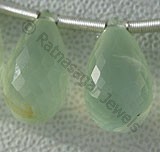 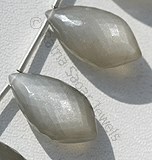 Prehnite gemstone is one of the hardest gemstone which is capable of bearing all types of pressures and scratches. 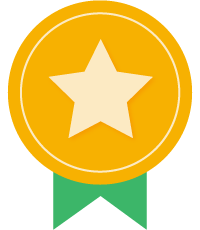 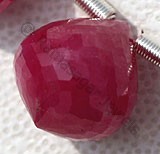 It is derived with the composition of calcium, silicon. 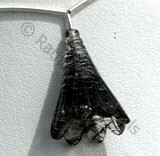 Aluminum along with little quantity of iron. 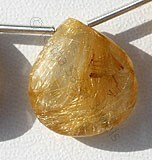 Its hardness on Mohs scale measures to 6-6.5. 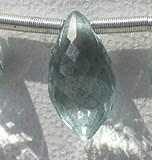 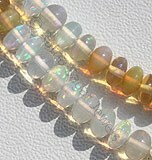 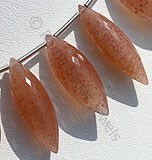 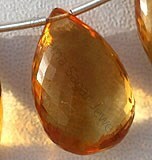 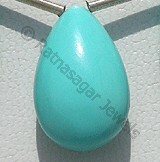 Being blessed with vast healing powers this stone is also called as heal the healer stone. 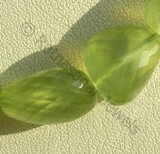 Its color varies from yellow to bright green to brown color. 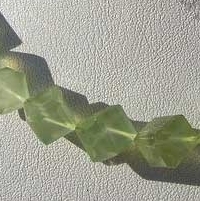 After cutting this stone in pieces leaves an impact of cats eye. 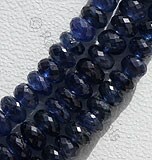 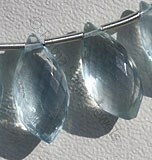 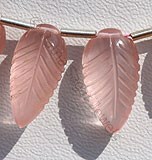 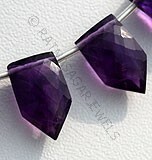 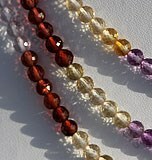 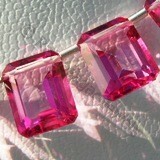 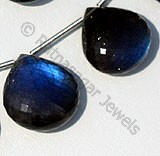 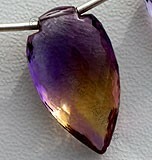 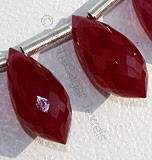 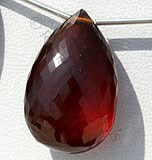 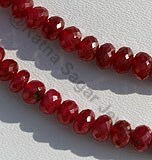 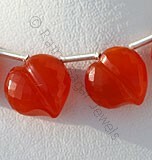 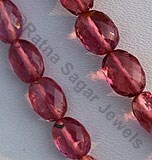 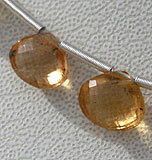 It is said that the use of this gemstone helps in elimination of painful memories. 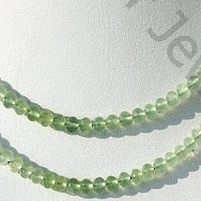 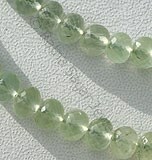 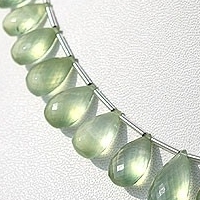 Natural Prehnite Gemstone beads appear cloudy or velvety and possess property of semi-transparent and are available in light-dark green color with yellowish tinge in micro cut, Rondelle Shape. 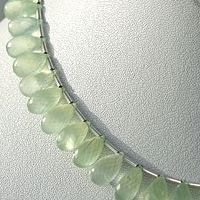 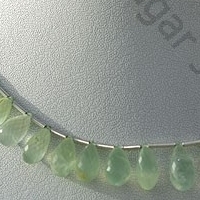 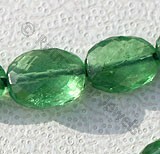 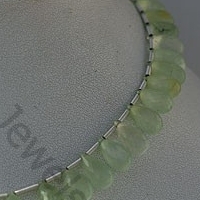 Natural Prehnite Gemstone beads appear cloudy or velvety and possess property of semi-transparent and are available in light-dark green color with yellowish tinge in micro flower cut, Tear Drop Shape. 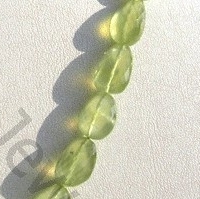 Natural Prehnite Gemstone beads appear cloudy or velvety and possess property of semi-transparent and are available in light-dark green color with yellowish tinge in micro flower cut, Flat Pear Shape. 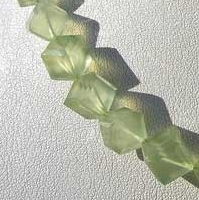 Natural Prehnite Gemstone beads appear cloudy or velvety and possess property of semi-transparent and are available in light-dark green color with yellowish tinge in six side square smooth polish cut, Cube Shape. 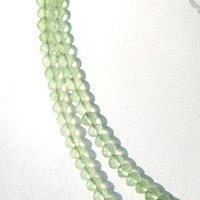 Natural Prehnite Gemstone beads appear cloudy or velvety and possess property of semi-transparent and are available in light-dark green color with yellowish tinge in micro flower cut, Oval Shape.